Our mouths collectively dropped when BMW revealed images of the BMW Concept 8 Series, late last week. Prepare to drop your mouths even further with this awesome rendering of what could one day be the world&apos;s fastest ute. That&apos;s pickup truck for our international readers. This brilliant concept was designed by X-Tomi Design and shows a Commodore-style ute with a single piece side. While there are no details so far on the new coupe, the original 8 Series sported a stonking V12 in one of its configurations. Given BMW currently has a V12 in its 7 Series line up, we&apos;re salivating at the thought of it living under the bonnet of this thing. A ute has never been mentioned, of course - and, sure, is unlikely to ever happen - but, we can only dream! 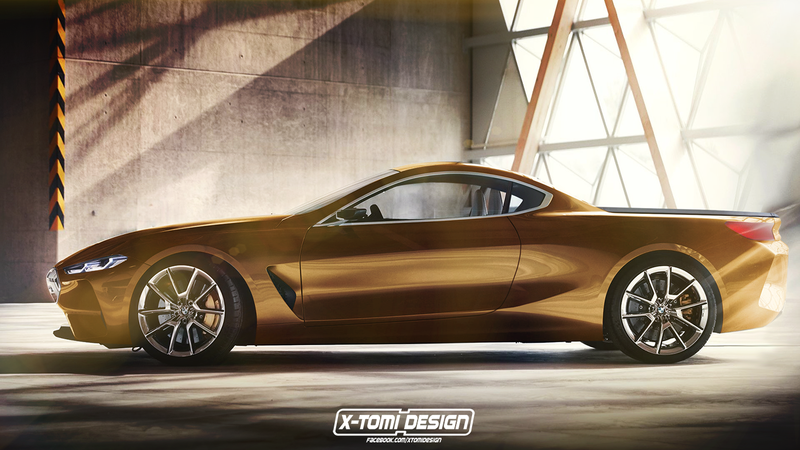 X-Tomi Design also threw together a rendering of a potential M8 Gran Coupe, which looks equally as stunning. Let&apos;s hope the final 8 Series production vehicle doesn&apos;t lose any of the visual appeal of its concept design. What do you think of the design? Would you like to see a BMW M8 ute?